Young children find it much easier to learn a language than adults do – perhaps because they have only just learned their own (or they are still learning it in some cases). 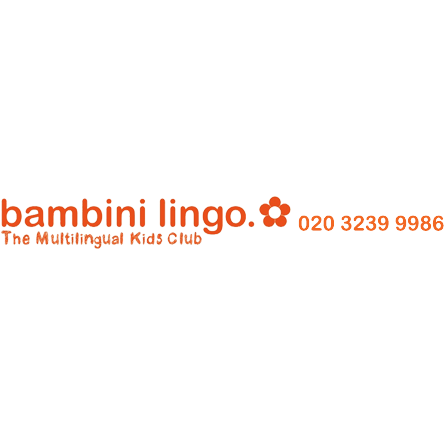 Bambini Lingo want to allow as many children as possible to use this innate and useful skill to learn languages that will help them to succeed in later life and to keep their brains as active as they can. This is all done through immersing babies and young children in interactive, exciting, fun and educational play and music based learning. They are introduced to the languages in a way that they won’t forget and they will be keen to learn more and more so that not only do they enjoy the classes while they are in them, but they are excited to go each week. Each class will usually be taught solely in the target language with English used only when it really has to be. This allows children to not only begin to understand another language right from the start, but also to work out that language for themselves which encapsulates the entire learning experience in an exciting way. Currently the languages taught through Bambini Lingo include French, Spanish, Mandarin, German, Italian, Arabic, Portuguese and English.